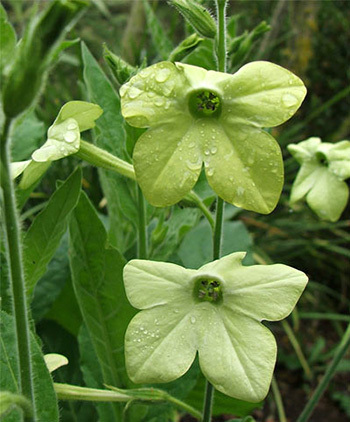 I chose Nicotiana Alata seeds separated into lime green and white, and that spring I germinated both colours in huge numbers. I planted them out everywhere - wherever there was space. From then on I've collected the seeds, and welcomed self sown seedlings. I produce carefully labelled containers full each spring, but the most impressive plantings are the self seeded ones. The lime green Nicotianas have always my favourite, but then in the fading light at dusk I'll see a clump of glowing whites.... or I'll pass by a sunny cluster of purply cherry red ones. 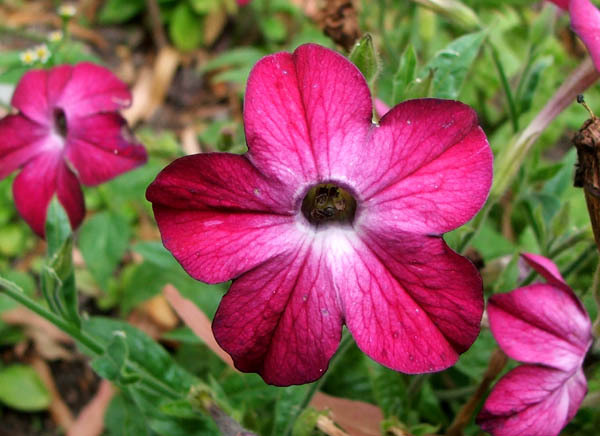 They seem to grow well no matter what their neighbours are, and are strong enough to push through and find the light. 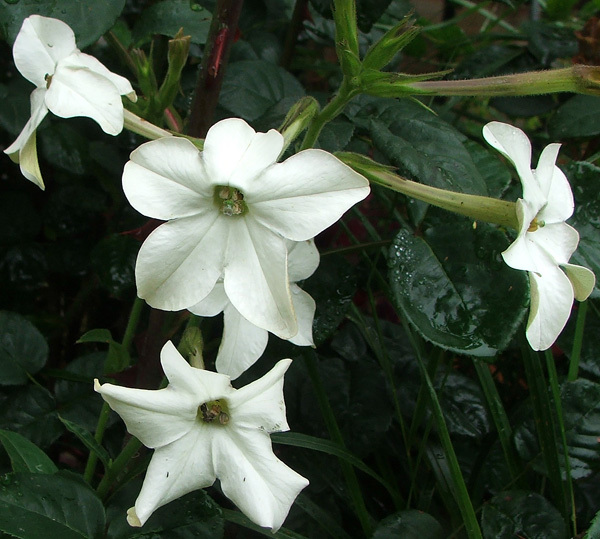 I bought one smaller cherry red flowering Nicotiana for one dollar from a gardening centre. My bees have done some serious hybridising, and now I have the taller Nicotianas in various shades of red and limey-pink. I keep collecting seed and labelling the colours carefully, but my bees always have the final word.